When you think of the southwestern United States, you probably think desert, football, and barbeque. You’re not wrong. However, you should also think about tennis! You’ll find pristine resorts, wonderful public tennis facilities, and oh yea, great weather even in the winter. Who wants to pay indoor court fees, anyways, right?!? Here are the best cities for tennis southwest edition. Dallas is a sports town at it’s core. One thing that football, baseball, hockey and basketball fans can all agree on, is that tennis is a great way to have fun and stay in shape. The tennis scene in Dallas is thriving. 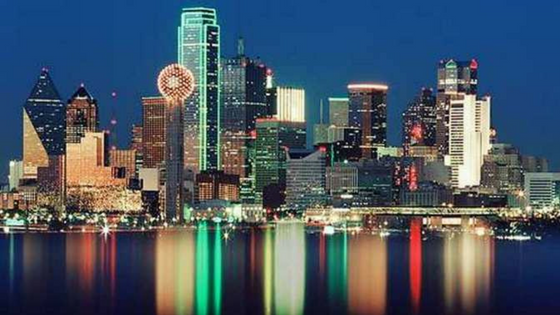 As host city to the RBC Tennis Championships Challenger Tour event, Dallas is one of the best spots in the country to see the best young players in the world battle it out as they make their way to the ATP Tour. If you are more interested in playing than watching, Dallas Parks and Rec runs five full-scale tennis facilities open to the public featuring beautiful lit courts, pro shops, and leagues for players of all ages and abilities. If you are looking for a more exclusive tennis experience, look no further than the T Bar M Tennis Club. Featuring 8 indoor courts, 8 clay courts, 14 outdoor hard courts, a pool, fitness center and gorgeous dining room, even the most discerning tennis enthusiast will be spoiled! Vegas is big, bright, fast and flashy. The gambling is addicting, the food is great, and the shows are even better. But what people don’t realize is that Las Vegas is also a fabulous tennis town! 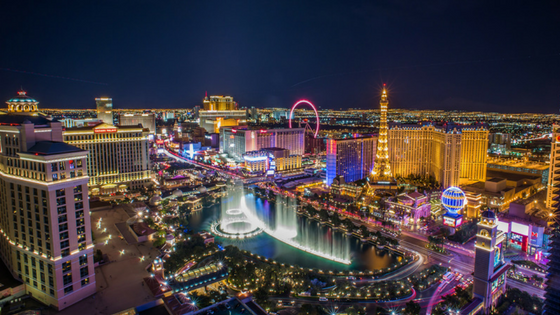 You expect to see street performers, fountains, casinos, and even the Eiffel Tower on the Vegas Strip, but you probably wouldn’t expect to find a full service tennis facility. Tucson is a picturesque city in an arid, desert climate. This means that tennis year round is a great option for both residents and visitors. With daytime temps in the summer typically climbing over 100 degrees, the locals will tell you that the best time of day to hit the courts is early morning or evening, but in winter, spring and fall, the temperature is usually a comfortable 80 degrees with no humidity. What more could a tennis player ask for?! For the true Tucson tennis experience, be sure to visit the Reffkin Tennis Center. 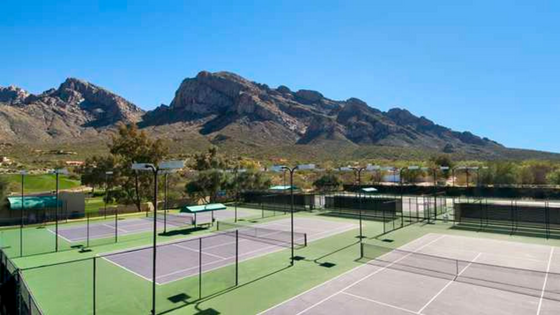 It is one of the largest tennis facilities in the Southwest, featuring 25 lit courts and a wonderful pro shop. The courts have been graced by tennis legends like Rod Laver, Billie Jean King, and many other celebrities. Looking for a more upscale tennis experience? Look no further than the El Conquistador Golf and Tennis Resort, and be spoiled by the facilities, and pampered by the amenities in a gorgeous setting. Houston is one of the largest metropolitan areas in the nation, and the “Everything’s bigger in Texas,” mantra extends, fittingly, into the hoppin’ tennis scene. The greater Houston area features three flagship tennis facilities boasting 60 lit courts, and there are over 200 other public courts scattered throughout the city. You’ll never be far from a court, and with a very active USTA scene, you’ll never be far from finding a league or tournament, either. Houston is also the only city in America to host a clay court ATP Tour event. 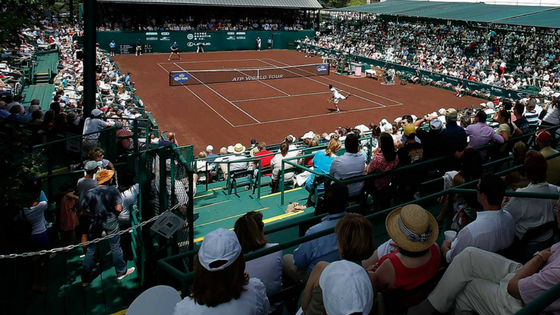 The US Men’s Clay Court Championship at River Oaks Country Club features a field of the world’s best players in a fun, intimate and family-friendly setting. If you haven’t been to Albuquerque, there’s a good chance that all you know about it is that it is where Breaking Bad is set. If you live in Albuquerque, you are probably glad that that’s all anyone thinks about because it is a hidden gem of a wonderful city and you want to keep it that way! The tennis scene in ABQ is vibrant just like it’s population. 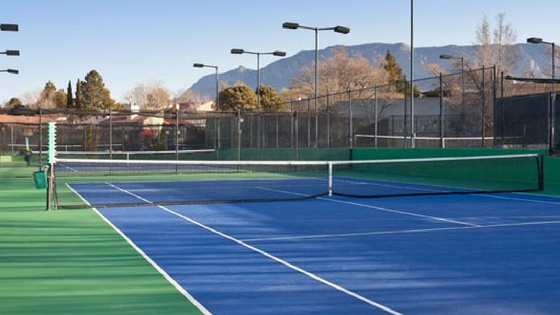 Located in Albuquerque’s uptown neighborhood, the Jerry Cline Tennis Center is the city’s premier facility, with 18 courts including a stadium court. It’s the place to see and be seen throughout the tennis community, but there are public courts stretching across the entirety of the city if you are looking for a more mellow tennis experience. Head over to the Lobo Tennis Center to catch some world-class tennis as the University of New Mexico’s Division 1 tennis teams show-off their talents against top-tier programs from across the nation. 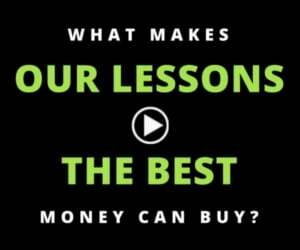 Whether you have never picked up a racket, or are a tournament level player looking to improve your serve, PlayYourCourt has the perfect coach for you to take your game to the next level. They have certified coaches all over the southwest, and all over the nation standing by and ready to head to your local court. 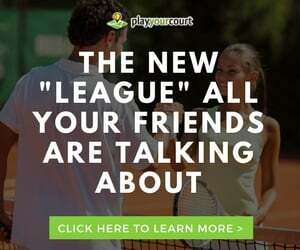 Visit PlayYourCourt.com and enter in your zip code to find the perfect coach today!